Even if you're not allergic to hazelnuts, this collection of recipes will help you achieve death by Nutella. Right about now, hundreds of chocoholics are losing their sh*t at the grand opening of Eataly‘s new Nutella bar, which replaces the Italian megamart’s recently closed wine store, Eataly Vino. According to Eater, the bar will serve Nutella-topped crepes, muffins, brioche, sandwich cookies, and just about anything else you can slather with chocolate-hazelnut spread. It might not be as crazy as Cronut-mania, but we’re pretty sure the fiends will be out in force—Chicago Eataly’s Nutella bar opened in December and has a 45 minute wait on weekends. If you love Nutella but hate lines, we’ve got you covered. Start with this DIY recipe for homemade Nutella, then check out 10 awesome ways to cook up this chocolate crack. 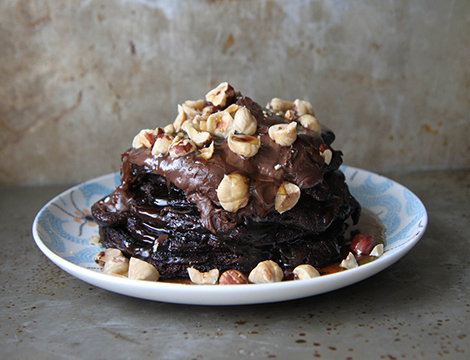 Chocolate pancakes topped with Nutella and maple syrup aren’t breakfast or dessert—they’re just insane. Get the recipe from Heather Christo. 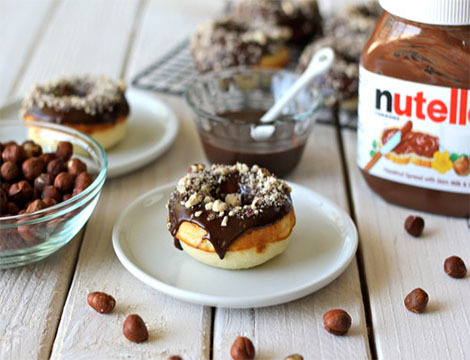 These baked donuts, topped with a Nutella ganache and crushed hazelnuts, are acceptable for breakfast—if you DNGAF. Get the recipe from Damn Delicious. 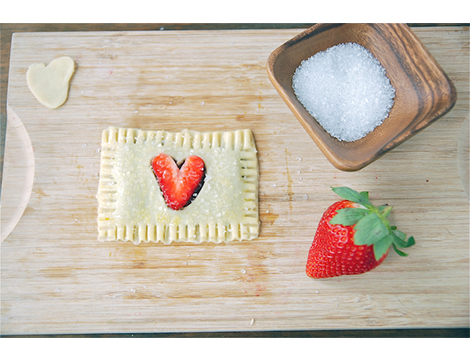 Filled with strawberry jam and Nutella, these homemade pop-tarts are like the childhood classic, except way, way better. Get the recipe from The Novice Chef. 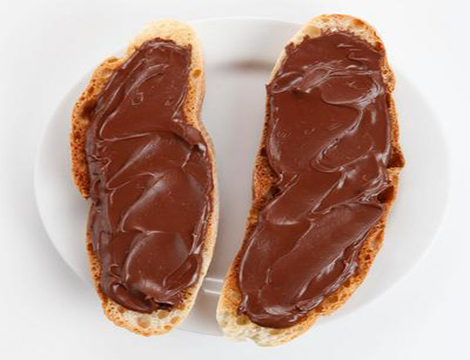 Nutella + toasted ciabatta = the easiest recipe ever. Step away from the Wonder Bread. Get the recipe from Saveur. 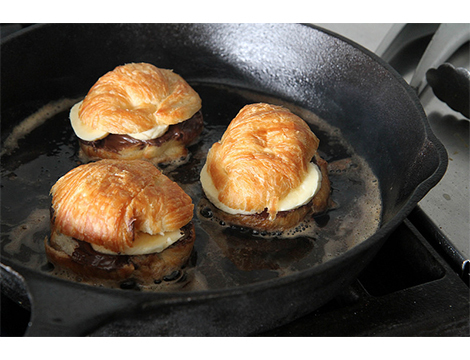 Think of a Croissantwich, then picture it stuffed with Nutella-smothered bananas and fried in nutty brown butter. Get the recipe from Heather Christo. 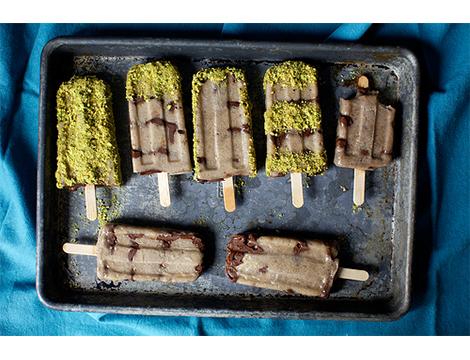 Combining bananas, Nutella, and nuts sounds totally healthy and perfect for any time of day. 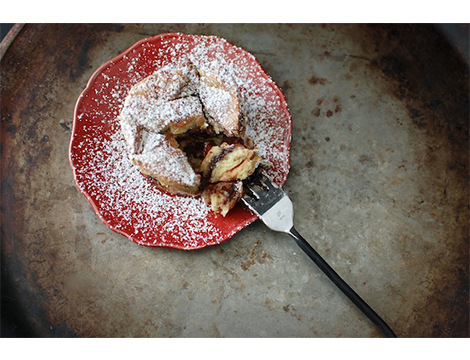 Get the recipe from Smitten Kitchen. So many adjectives. So awesome. 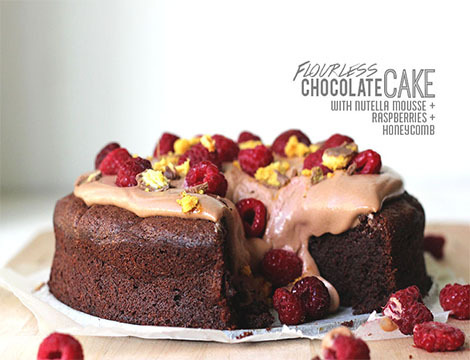 Get the recipe from Brave Tart. 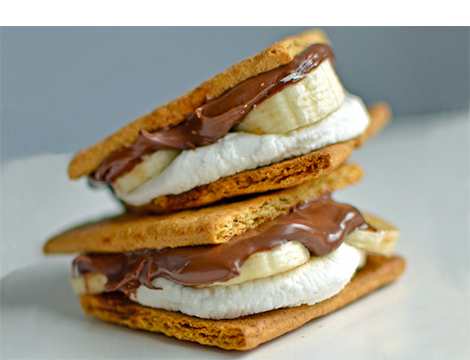 A campfire classic jazzed up with bananas and the chocolate spread of the gods. 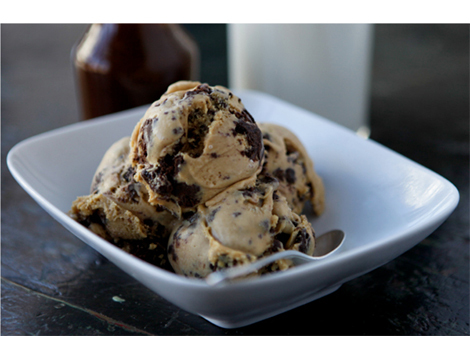 Get the recipe from Tablespoon. Our suggestion: Bake these in individual ramekins so you don’t have to share. And serve them with a generous scoop of vanilla ice cream on top. Get the recipe from The Novice Chef. Chocolate on chocolate with candy on top—what could go wrong? Get the recipe from The Sugar Hit.